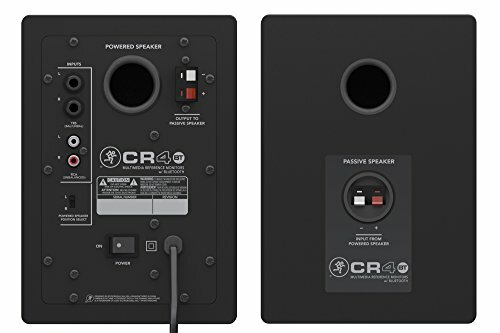 Conclusion – Are The Mackie CR4BT Right For Your Group? There are many people who care about sound and want to have access to the highest quality audio. When you want to have the best listening experience possible, it is important to have good speakers. Some people even choose to buy high-quality studio monitors to help with their multimedia experience. These monitors can really make your audio sound fantastic if you set things up right. You probably know that there are a plethora of different options out there when looking at speakers or studio monitors. One of the most popular studio monitors for home use that is on the market currently is the Mackie CR4BT. These studio monitors are excellent and can give you audiophile level sound in the comfort of your own home. Many studio monitors are meant to be used for professional reasons. People use them in recording studios and for live performances. These studio monitors are a bit on the smaller side, so they have fewer professional applications than some studio monitors do. Even so, these are high-quality studio monitors that will work out well for you if you want to have a good sound experience. Who Do These Speakers Appeal To? This set of studio monitors definitely appeal to people who want to enjoy excellent sound quality. If you are a person who loves listening to music, then you will really get a lot of use out of these studio monitors. They can make sure that you can enjoy the clearest and best sounding audio at all times. No matter what genre of music it is that you enjoy, it will be able to come across loud and clear with these studio monitors. People who collect vinyl records will love owning these studio monitors. The vinyl community is all about getting the best sound quality that is possible, so hooking these studio monitors up to a turntable will produce great results. It will allow you to enjoy your record collection to the fullest. No matter what format it is that you prefer, these studio monitors will work great to make listening to music fun. 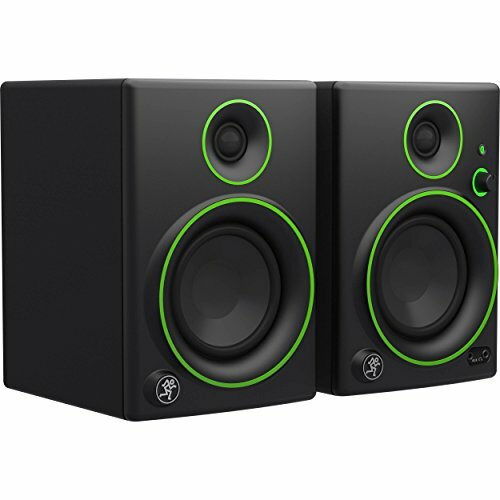 DJ’s and people who have small recording studios in their homes will also enjoy these studio monitors. They give you really clear audio and allow you to hear all of the tiny details in the music. This makes them perfect for mixing music and mastering tracks. You need to be able to listen clearly to hear how your songs are going to sound to the public, so it makes sense that professionals would want some high-quality studio monitors for their homes. Small churches will be able to make use of studio monitors of this size too. If your church is in a smaller building, studio monitors like this could help when you are playing music over your PA system. It could also be useful in many other ways, too. Some churches use speakers like this as a sound system for the youth group room. The applications for this sound system are various, and it could definitely be useful in a church environment. You will actually be getting quite a bit inside the box when you buy these studio monitors. First, you should note that you will be getting two studio monitors. There are also several accessories included for you to enjoy. 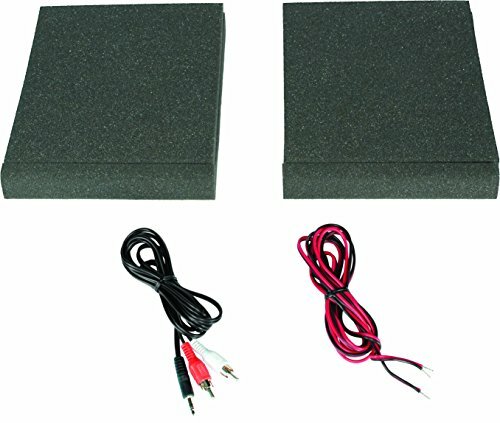 You will be getting foam isolation pads and the necessary cables that you need to get this working great right out of the box. You will definitely find the features of these studio monitors to be quite impressive. When you consider the price of the studio monitors, it becomes apparent that these have great value for anyone who wants to have an amazing sound experience. 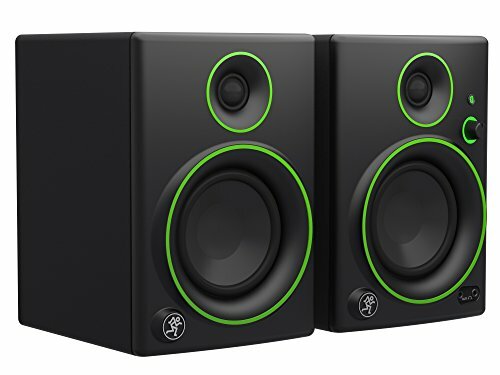 Professional-grade components were used in the creation of these studio monitors. It allows for an exceptional sonic performance that will please any audiophile. High-output drivers help to create the best studio monitor waveguide system possible. You will be able to experience premium sound out of this unit in a very compact package. It has been meticulously designed to give you the highest sound quality possible. Studio monitors like this can even outperform some models that are much more expensive. These are definitely a good value for anyone who needs a professional-grade audio experience. This unit even offers you convenient front panel features. You can access a headphone out port that will allow you to use headphones with these studio monitors. There is also an aux-in port that will appeal to the professionals and musicians who decide to buy this product. The whole design philosophy behind this unit is to make things simple and convenient for everyone. Being able to stream music directly to the studio monitors is a good example of just how convenient these are. Any type of smartphone, tablet, or Bluetooth-enabled device will be able to stream music to these studio monitors. 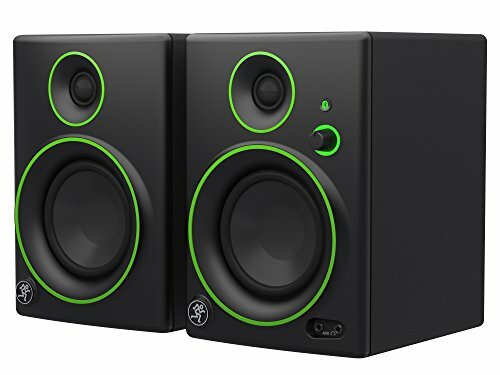 This allows you to get the party going very easily, which makes this set of studio monitors great for any gathering. Being able to play music so readily will definitely be beneficial. The PreSonus Eris E3.5 is going to be a really good alternative for you to consider. These studio monitors are comparable to the Mackie CR4BT and will work really well for multimedia purposes. If you want a good studio monitor to make your video games, music, and movies sound fantastic, then these will do the trick. Both this model and the Mackie CR4BT come highly recommended, so you can’t really go wrong either way. You will definitely be able to get a lot of use out of the Mackie CR4BT studio monitors. This set of two studio monitors can give you an amazing audiophile experience. They are not overly pricey and will prove to be well worth the small investment that you will have to make. Making full use of these studio monitors will be simple, and they have a number of different applications. Being able to stream music directly to the studio monitors makes these stand out as truly convenient options. If you have been looking for a multimedia studio monitor for your home, this set will be a good purchase. If you need a studio monitor for more professional reasons, then there may be better options out there. Regardless, this is a good product that comes in at a reasonable price.